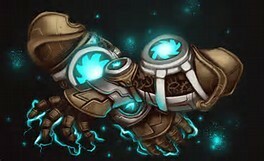 Battle Armor that can transform into diffirent kinds of Armor sets and built in weapons for different sittuations. I am a giant pair of golden scissors. Because scissors. 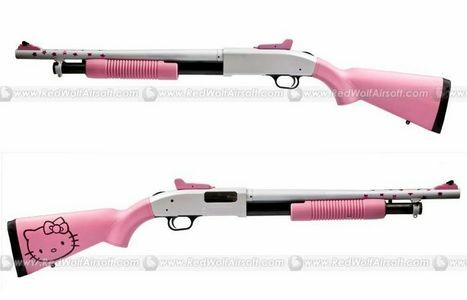 hello kitty guns are awesome!! BADASS KITTY!!! 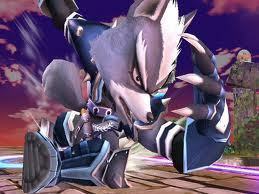 im a giant cleaver au a gauntlet that shoots light arrows. 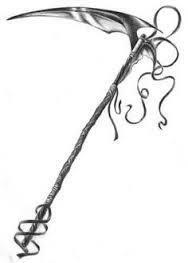 A scythe head with a small handle inside it. Kinda like this one. 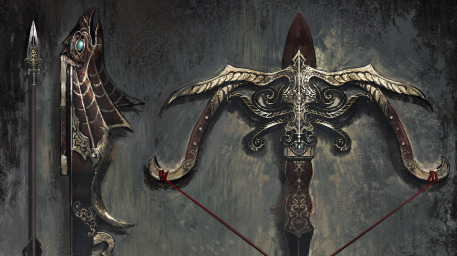 A demon spear with scythes on the rod! My sis says I'd be a machine gun! 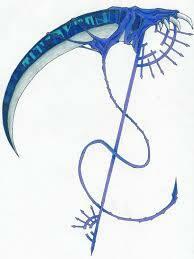 Hmm..I think I would just be a regular Scythe...Mainly like this one. I would have two modes. I am either a Sword au a wand/mace like object. 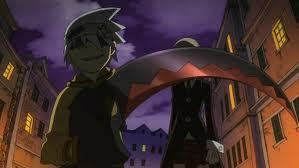 I'm 4 types of weapons actually they are as follows: scythe, giant hammer, pistol, and demon sword ( max power). Tough one ,but if I had to choose I'd be a pair of tech goggles (target finder; able to find weak points; access to all records; can work as headphones for awesome fight music; digitalise anything!) 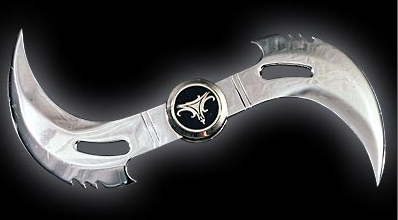 and duel scythe blades that wewe put on your arms! I,d Have 3 Modes Dark Version Of Excalibur/Giant Ninja-Star Witch Is Red And Blue/Double Bladed Scythe With Blades That Burst Into Flames. idk, maybe a butcher knife. 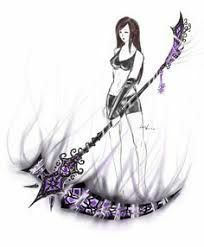 I'd be a large battle axe.The handle is a long as a schythe's, but the blade is an axe instead of a schythe. 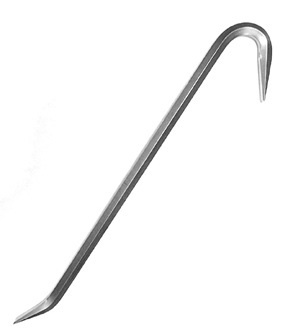 i would be a spear like kyoko sakura's that can mgawanyiko, baidisha into chain sections. 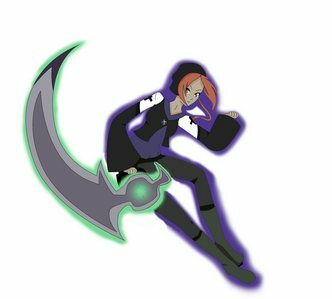 I'm a scythe, sword, double-gun. Hmm...Probably A Scythe au A Sword !!!! i transform in different ones but my fav. 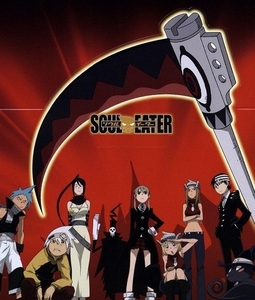 are the scythe and katana and guns...more scythe. I would have to be one of a pair of twin pistols, my bro the other pistol. 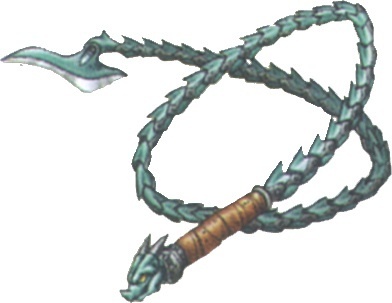 I am a glaive, my ubunifu is similar to Sailor Saturn's Silence Glaive, but has a teal handling that has a spiral carved into it.